Special edition iPhone X anyone? A gold Apple iPhone X is a real thing as you can see in this newly revealed photo, with more snaps below. So why can’t we buy it? This isn’t a case of this being a possible fake, or even of Apple not releasing the gold iPhone X yet, it’s apparently already been made and may never have been planned for release. 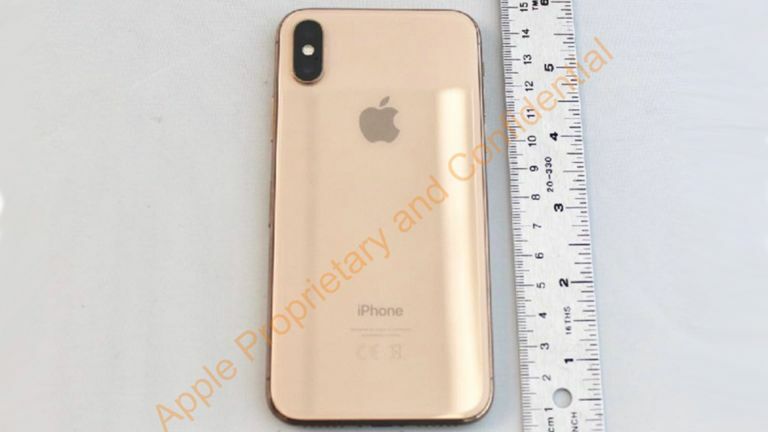 The gold iPhone X appeared in FCC patent documents filed back in July 2017 ahead of the September release and were only recently spotted. The gold appears to be very similar to the colour option found on the iPhone 8 and iPhone 8 Plus. Perhaps Apple didn’t want to steal their special colour when it expected the iPhone X to be in the limelight anyway. In the end Apple only released the iPhone X in two colour options of space gray and white with silver. Some claim Apple may have faced production issues that stopped the gold option making it to market. For whatever reason, Apple didn’t release the iPhone X in gold, but it may try again for the iPhone XI, according to the rumour mill. Expect to hear more on the new iPhone XI at the usual launch time around September.